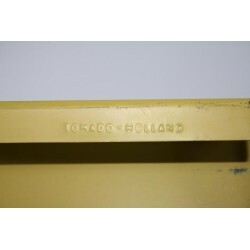 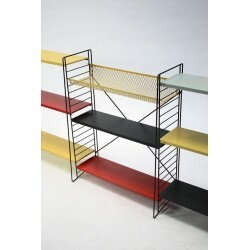 Rare standing Dutch Tomado system from the designer A. Dekker, including a perforated shelf/ basket. 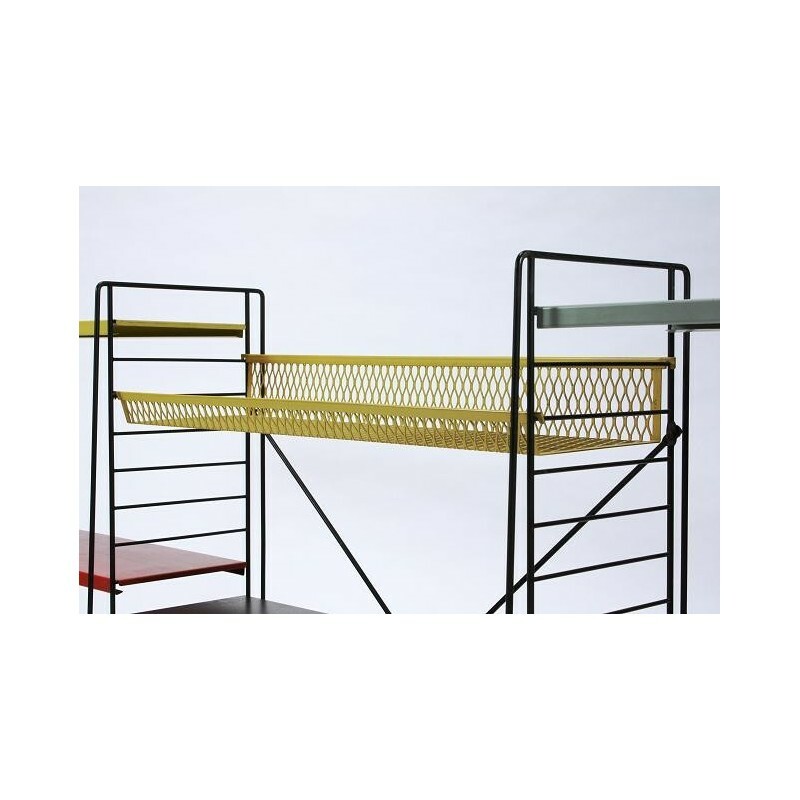 The standing system is designed in the early 1950's. 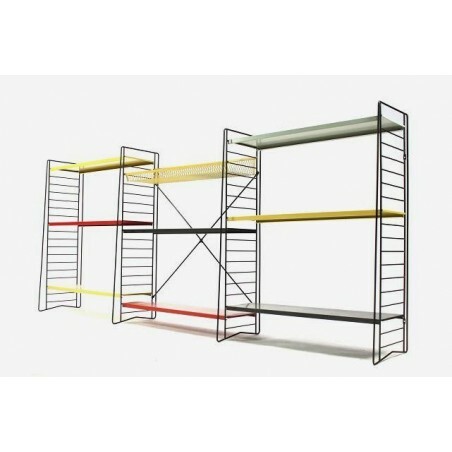 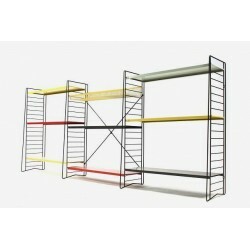 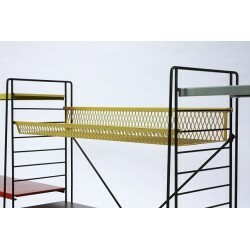 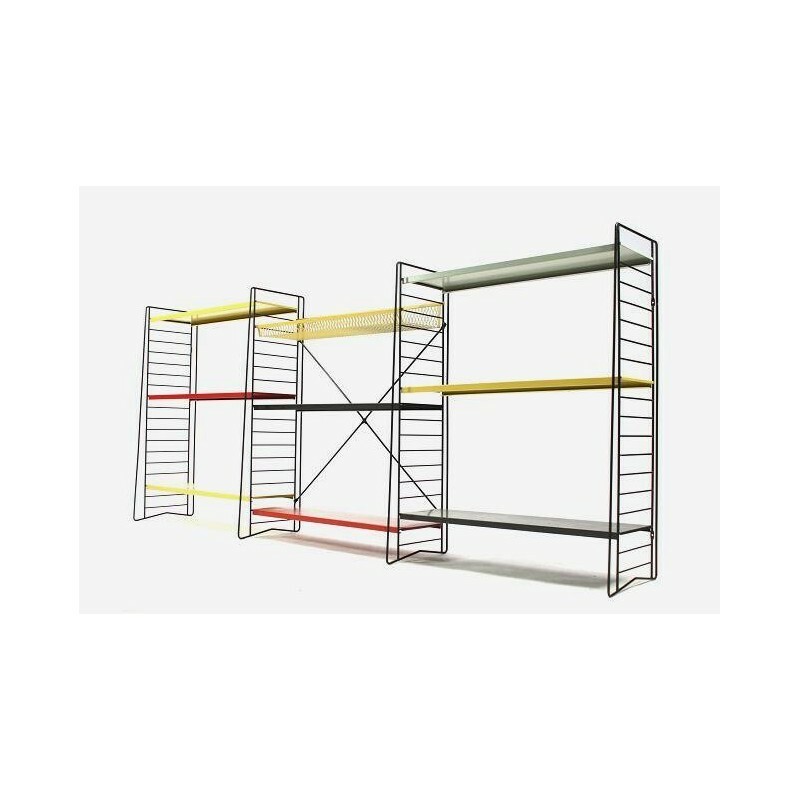 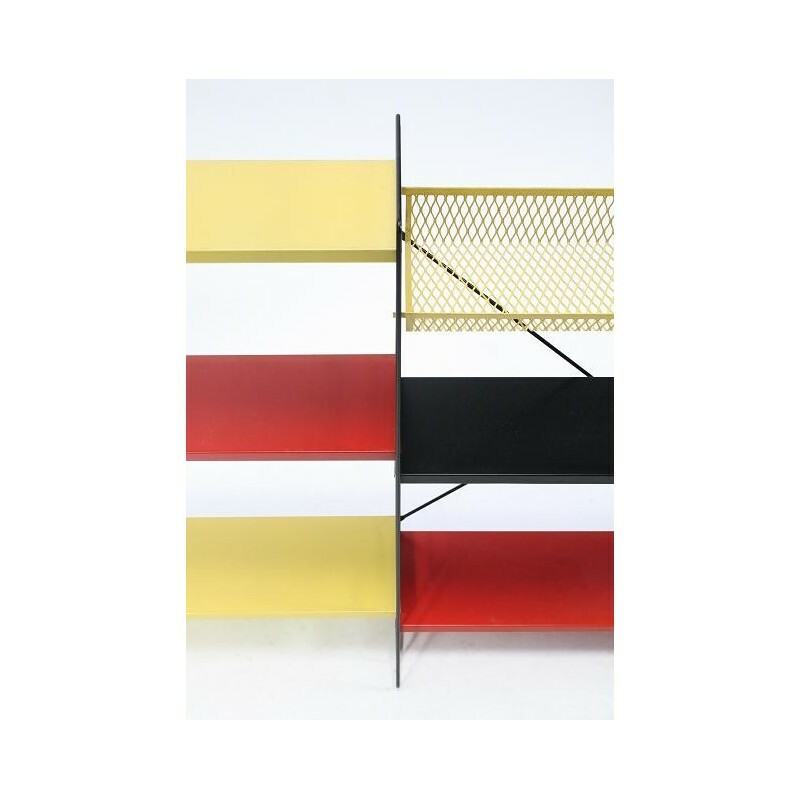 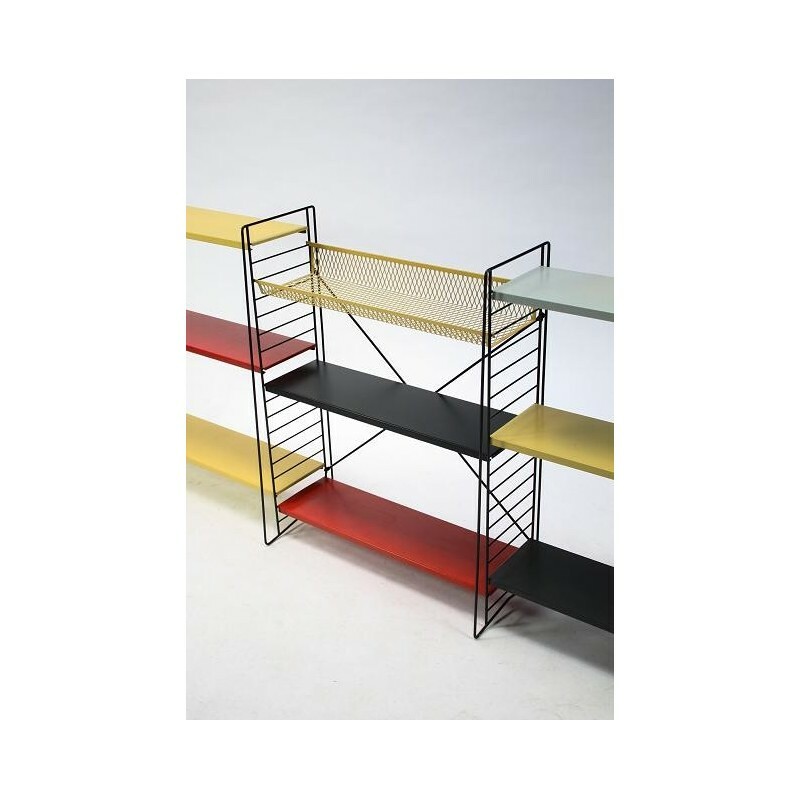 The colorful shelves give the system a beautiful and typical look for the periode 1950-1960. 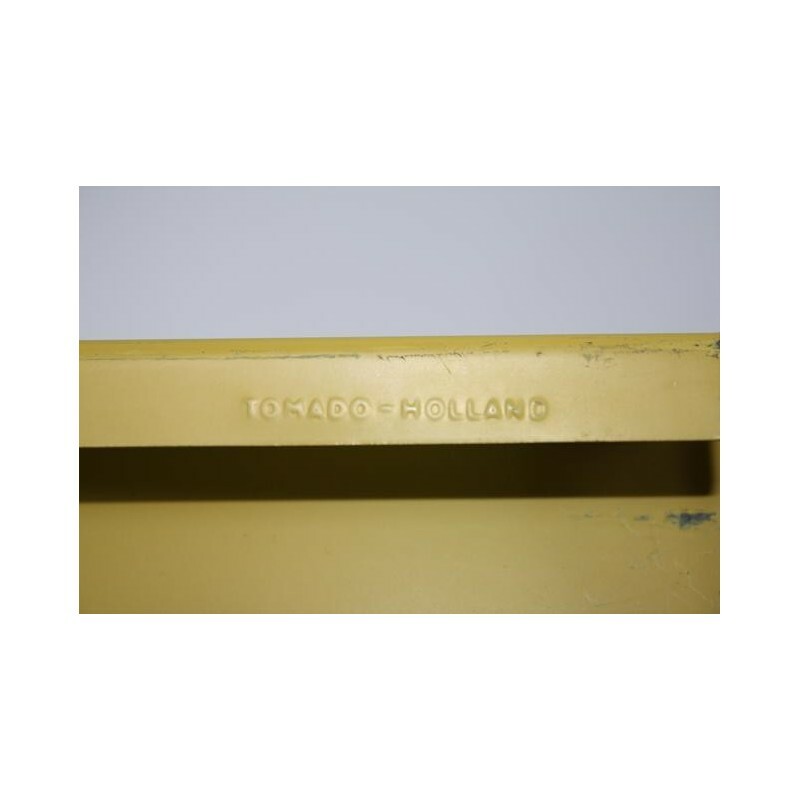 The system is in a good condition given it's age, but there are traces of aging ( see detailed pictures). 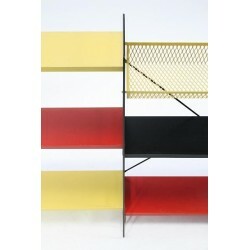 The dimension is 195 cm long and 84,5 cm high, shelves are 19 cm wide.